Home \ Blog \ Mortgage \ Will I Be Able to Buy a House if I Owe Taxes? Will I Be Able to Buy a House if I Owe Taxes? In Canada, two things are certain. It’s going to get colder in the winter, and when the snow finally thaws in April, you’re going to have to deal with tax season. Then again, what happens if you don’t pay your income taxes? What if you have no income to declare? What if you’re earning an income, but aren’t declaring it to the Canada Revenue Agency? Life isn’t without its consequences and failing to pay your taxes comes with consequences of its own. In fact, paying your income taxes is an important part of your financial well being. Not only are you contributing to our country, something that every good Canadian should do, but keeping up to date on your taxes also demonstrates your financial stability for anyone who cares to examine it. Nevertheless, what many would-be homeowners want to know is this: if the Canada Revenue Agency hasn’t been receiving my yearly tax contributions, will I be able to secure a mortgage and move on with my life? In this article, we’ll provide you with some information about the consequences of not paying your income taxes, whether it’s because you’re self-employed and aren’t sure about how to, have been forgetting to pay them, or have been avoiding them altogether. Then, we’ll talk about how not paying those taxes will affect your ability to get a mortgage. Want to know how much it costs to buy a house in Canada’s major cities? Check out this infographic. In this day and age, it’s common for people to label themselves as “self-employed,” by starting their own small businesses or becoming freelance workers. Some even choose to keep their regular job and make extra income on the side. However, this is a common situation where people forget or don’t understand how to declare their extra income, or will avoid paying taxes on it completely. Before we move on to the consequences of owing money to the CRA, we have a bit of advice for the self-employed who are trying to pay their taxes. Earning a low income, and need some tax tips? Read this. If you’re working at a regular, 9 to 5 job in Canada, your income taxes will be paid directly from your bi-weekly paychecks. As soon as you’re hired by a business or company, your employer should report your employment to the CRA, who will then subtract a percentage of each paycheck in accordance with how much you make. As tax season draws near, you should be given a T4 income slip, which you’ll then use to file your taxes. Remember, at some point, the CRA will be aware of the income you’re making and you will be expected to pay taxes on it. When you’re making money that isn’t automatically being taxed, it can be all too tempting to just spend it on whatever you need, without thinking of the consequences. But, if you go too long without declaring your income, and the CRA catches up with you, you could end up having to pay a hefty fine or worse. So, the first thing you need to do is to make sure you’ve set aside approximately 15-30% (25% is the recommended amount) of your earnings in a separate account, specifically for tax purposes. If you’re self-employed or a freelance worker, there may be expenses you can use as tax deductions to receive a better tax refund. If you need to take public transit frequently in order to earn your business income, for instance, it can qualify as a deduction. CRA guidelines dictate that business expenses must be reasonable. So, it’s recommended that a self-employed taxpayer holds onto all relevant business related expense receipts for at least 6 years. For more information on the business expenses, you can deduct, visit the CRA website. When you start making money from self-employment, it’s important that you keep a record of any payments you receive. The best way is to create an invoice for the individual or company that you are working with. An invoice acts like a kind of paycheck. You’ll address it to your employer, it will detail what work you completed, how much money you were paid, and where that money came from. This is how you’ll be able to keep track of all the income you’ll need to declare to the CRA in the coming tax season. Just as you would with a regular source of employment, filing your self-employed income taxes needs to be done once per year, before the deadline of April 30th. As we mentioned before, being self-employed means that a percentage of your paycheck won’t automatically be given directly to the CRA. Because of this, you’ll have no T4 slip to submit at tax season. Instead, you’ll have to fill out a T2125 – Statement of Business or Professional Activities form, a statement of your business income over the last year. If some of your expenses qualify as deductible, you can also list them on the form. To access the T2125 form, you can also visit the CRA website. If your self-employment currently generates less than $30,000 yearly, the CRA will consider you a “small business” and you will not have to register for a GST (Goods and Services Tax) or HST (Harmonized Sales Tax) number. However, if your yearly income does exceed $30,000, you will need to register for an account through the CRA website. If you have a GST or HST number, you can start collecting these taxes from the companies that are paying you. Note that the HST only applies to certain provinces. To find out which Canadian provinces the GST/HST taxes apply to, click here. 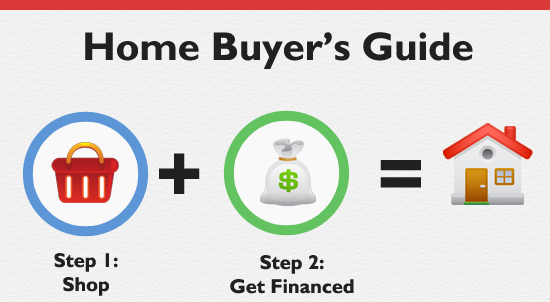 Check out our home buyer’s guide infographic. What are the Consequences of Not Paying Your Taxes in Canada? Remember, by law, you are required to pay taxes on any income you generate from any business, whether that business is yours or someone else’s. If you know that you owe taxes to the CRA, but don’t pay them or file a tax return or lie about the amount you’ve actually been making, it can be considered “tax evasion.” The CRA is also going to take precedence over any other form of debt collections, your lenders included. If you’re already mortgaging a house, no matter how much you owe to your lender, even if it’s a well-known bank, the CRA gets paid first. They might even put a lien on your house, make you sell it, then give them whatever proceeds you make. In fact, depending on how much you owe in the first place when the CRA finally catches up with you, the fines can range from $1,000 – $25,000 and up to one year in prison. They can take you to court and seek wage garnishment, even seize your other assets, like your house (if you’re a homeowner), car or other properties, until you’ve paid them in full. They might even go so far as to sell your account to a collection agency, damaging your credit and making it harder for you to get loans in the future. Will Owing Taxes Affect My Ability to Get or Maintain a Mortgage? The simple answer is “yes,” depending on how much you actually owe. Remember, some debt can be good. For instance, the debt you carry on credit cards, loans, and other credit products if managed properly and responsibly (paying your bills on time and in full) can actually be good for your overall credit health. However, like any other debt that’s managed poorly, your unpaid taxes will certainly burden you in more ways than one. Not only will being late on your taxes result in penalties and interest fees, but not paying them entirely for years at a time will land you a hefty fine or even prison time. So, if your situation resembles this scenario, it’s understandable that a lot of lenders will neither want to approve you for a mortgage or renew your existing one (for more information on mortgage renewal, click here). Banks, other traditional financial institutions, and accredited mortgage brokers, in particular, are going to have far stricter borrowing guidelines than some private lenders. If they see that you owe an unreasonable amount in taxes, you’ll find that your situation will be a tough sell. Yes, some private lenders will let you borrow if you’ve had debt problems in the past, or a low credit score. Then again, the less they’re assured of your ability to pay them back, the less any lender, private or otherwise, will let you borrow from them. If you do manage to find a private lender to grant you a mortgage, their interest rates will be extremely high, and if you already owe too much money to the CRA, it wouldn’t be a good idea to add to your debt load. Is it better to deal with your debt or save money? Find out here. If I Pay the Taxes I Owe, Will I Be Granted a Mortgage? If you owe a little bit in taxes because of some mishaps but intend to pay them promptly, late penalties and all, you’ll have less of a problem acquiring a mortgage than someone who has been purposely evading their taxes for a long time. However, if you owe a lot in taxes, even if you’re in the midst of paying them back, it could be difficult to get approved for a mortgage (or mortgage renewal) from some higher-end commercial lenders, such as banks, because of their lending standards. Thinking about using your home equity to pay your taxes? Read this. Your best bet, if you don’t already have a mortgage, but want to obtain one some day, would be to pay your tax debt in full, then wait until you’ve managed to replenish the money you’ve lost. Once you’re back on track, lenders will see that you’ve worked hard to repair your financial situation, and you’ll have an easier time getting approved for the mortgage you want.